Fan Wang, “An Empirical Equilibrium Model of Formal and Informal Credit Markets in Developing Countries”, Centro de Investigacion Economica, Instituto Tecnologico Autonomo de Mexico, Mexico City, Mexico, Feb. 24, 2018. Fan Wang, Esteban Puentes, Jere R. Behrman, and Flavio Cunha, “You are What Your Parents Think: Height and Local Reference Points,” 3rd Annual Empirical Microeconomics Conference, Department of Economics, Arizona State University, Tempe, AZ, February 24, 2018; Annual Meeting of the American Economic Association, AEA poster, Philadelphia, PA, Jan. 5, 2018. Steven Craig, Bent Sørensen, Chris Biolsi and Amrita Dhar, “Risky Schooling? K-12 Funding Over the Business Cycle,” American Economic Association Meetings, Chicago, Illinois, Jan. 6-8, 2017. Flavio Cunha, Robert M. Townsend, and Fan Wang, “Investments in the Human Capital of Children in Village Economies,” Conference on Human Capital and Financial Frictions, Human Capital and Economic Opportunity Global Working Group and McCourt School of Public Policy, Georgetown University, Washington, DC, April 20, 2017. Willa Friedman, "The Importance of the Decision Maker and Information in School Choice Decisions,” American Economic Association Meetings, Chicago, Illinois, Jan. 6-8, 2017. Fan Wang, Esteban Puentes, Jere R. Behrman, and Flavio Cunha, “You are What Your Parents Think: Height and Local Reference Points,” STATA Texas Empirical Microeconomics Conference, Department of Economics, University of Texas at Austin, Austin, TX, Sept. 15, 2017. Steven Craig and Janet Kohlhase, “Why Do Cities Redistribute Income out of Own-Source Revenue?” ASSA/AREUEA Meetings, Jan. 3-6, 2016, San Francisco. Willa Friedman, "Money, Masculinity, and Men's Health: Experimental Evidence on Demand for a Preventive Health Input," 10th Annual Research Conference on Population, Reproductive Health, and Economic Development, Washington, DC, September 2016. Also presented at the Midwest International Economic Development Conference, Minneapolis, Minnesota, March 2016; the International Health Economics Association Meeting, Milan, Italy, July 2015. Willa Friedman, "What Can We Learn from Babies Born during Health-worker Strikes?" Southern Economics Association Meetings, Washington, DC, Nov. 19-21, 2016. Also presented at the Western Economics Association Meetings, Portland, Oregon, June 2016; the Data-Driven Development in Africa Conference at Penn State, State College, Pennsylvania, February 2016; 9th Annual Research Conference on Population, Reproductive Health, and Economic Development, Addis Ababa, Ethiopia, June 2015. Janet Kohlhase, “The Location of Immigrants in Sweden,” Western Regional Science Association Meetings, Hawaii, Feb. 14-17, 2016. 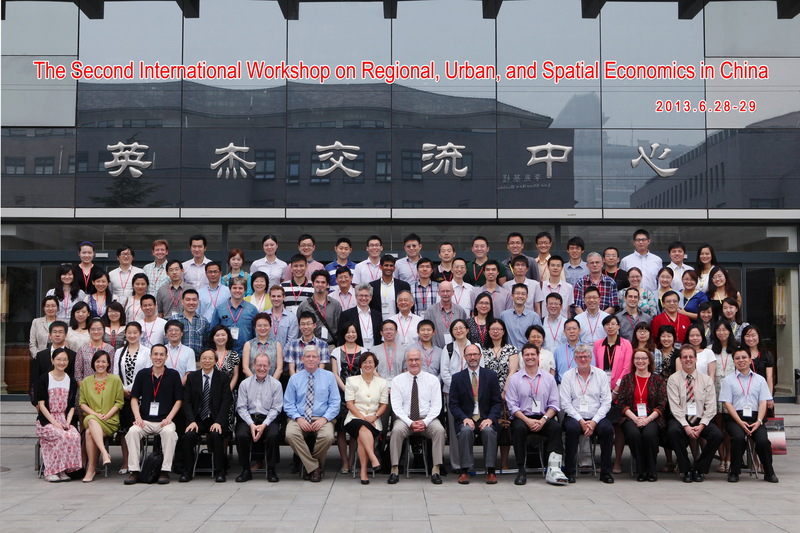 Janet Kohlhase, “How Do Big Cities Respond to Suburban Fiscal Policy?” Invited Keynote address at the 5th International Workshop on Regional, Urban, and Spatial Economics in China, Chengu, China, June 304, 2016. Janet Kohlhase, Growth, Equity and Geography: Evidence,” Reassessing Economic Development Policies for Regions and Cities, London School of Econmoics, April 21-22, 2016. Elaine Liu, “Maternal Bargaining Power, Parental Compensation and Non-cognitive Skills in Rural China” Society of Labor Economists Conference, Seattle, Washington, May 6-7, 2016. Also presented at the CIREQ Montreal Applied Economics Conference. University of Montreal-Quebec , April 8-9, 2016. Elaine Liu, "Cultural Assimilation, Peer Effects and the Development of the Gender Gap in Risk Preferences,” Society of Labor Economists Conference, Seattle, Washington, May 6-7, 2016. Liliana Varela, “Reallocation, Competition and Productivity: Evidence from a Financial Liberalization Episode”, ESSIM-CEPR, Helsinki, May 2016. Liliana Varela, “Reallocation, Competition and Productivity: Evidence from a Financial Liberalization Episode”, Barcelona GSE, Summer Forum, June 2016. Also presented at the North American Econometric Society Meetings, Philadelphia, June 2016; Meetings of the Society for Economic Dynamics, June, Warsaw 2015. Kei-Mu Yi, "China, Structural Change, and Multinational Production", Asian Bureau of Finance and Economic Research 4th Annual Conference, Singapore, May 23, 2016. Kei-Mu Yi, "Sectoral Heterogeneity and the Gains from Trade,” NYU-Atlanta Fed International Conference, December 9-10, 2016. Willa Friedman, "Antiretroviral Drug Access and Behavior Change," Annual Meetings on the Economics of Risky Behaviors, Izmir, Turkey, May 2015. Vikram Maheshri, “Homophily and Sorting Within Neighborhoods,” NBER Summer Institute (Real Estate), July 2015. Vikram Maheshri, “A Dynamic Duverger's Law ,” Formal Theory and Comparative Politics Conference, University of Chicago Sept. 11-12, 2015. Liliana Varela, "Reallocation, Competition and Productivity: Evidence from a Financial Liberalization Episode," NBER International Finance and Macroeconomics Meeting, Cambridge, MA, March 27, 2015. Also to be presented at the Spring 2015 Midwest Macroeconomics Conference at Washington University-St. Louis, May 1-3, 2015. Janet Kohlhase and Mikaela Backman, “The Influence of Diversity on the Formation, Survival and Growth of New Firms,” AREUEA sessions at the ASSA Meetings, Boston, Jan. 2-5, 2015. Liliana Varela, "Financial Liberalization, Competition and Productivity," Workshop on Productivity Growth, Resource Misallocation and Development, organized by the Research Institute for Development, Growth and Economics (RIDGE) and the Banco Central del Uruguay (BCU), Montevideo, Uruguay, December 11-12, 2014. Willa Friedman “Corruption and the Effectiveness of Imported Antiretroviral Drugs in Averting HIV Deaths,” African Studies Association, Indianapolis, Indiana, November 20-23, 2014. Steven Craig, Bent Sorensen, Chris Biolsi and Amrita Dhar, “The Vulnerability of Schools to Economic Shocks: States Smooth Local Shocks but not Their Own,” Association for Public Economic Theory Meetings, Seattle, July 10-13, 2014. Steven Craig, Janet Kohlhase, and Adam Perdue, “Empirical Polycentricity: The Complex Relationship Between Employment Centers,” plenary talk, Uddevalla Symposium, Uddevalla, Sweden, June 12-14, 2014. Janet Kohlhase and Mikaela Backman, “The Influence of Diversity on the Formation, Survival and Growth of New Firms,” keynote address, International Workshop on Regional, Urban and Spatial Economics in China at Fudan University, Shanghai, China, June 6-7, 2014. Also presented at the Western Regional Science Association meetings, San Diego, February 14-17, 2014. Steven Craig, Edward Hoang, and Janet Kohlhase, “The Effect of Urbanization on the Technology of Governance,” International Tinbergen Institute Workshop, Amsterdam, May 19-20, 2014. Also presented at the North American Regional Science Association Meetings, Washington, D. C., November 12-15, 2014. Andrea Szabo and Gergely Ujhelyi, “Can Information Reduce Nonpayment for Public Utilities? Experimental Evidence from South Africa”, Midwest International Economic Development Conference, University of Minnesota, May 2-3, 2014. Gergely Ujhelyi, “Civil Service Reform”, Midwest Political Science Association conference, Chicago, IL, April 3-6, 2014. Andrea Szabo, “The Value of Free Water: Analyzing South Africa’s Free Basic Water Policy,” Stata Texas Empirical Microeconomics Conference, University of Houston, Houston, TX, September 27-28, 2013. Vikram Maheshri, “Do ‘Broken Windows’ Matter? Identifying Dynamic Spillovers in Criminal Behavior”, Stata Texas Empirical Microeconomics Conference, University of Houston, Houston, TX, September 27-28, 2013. Andrew Zuppann, “The Quantity-Quality Tradeoff and the Formation of Cognitive and Non-cognitive Skills,” Society of Labor Economists Annual Meeting, Boston, MA, May 3-4, 2013. Jee-Yeon K. Lehmann, "Birth Order Differences in Early Inputs and Outcomes," Society of Labor Economists Annual Meeting, Boston, MA, May 3-4, 2013. Elaine Liu, "Beggar-Thy-Women: Domestic Responses to Foreign Bride Competition, the Case of Taiwan", Economic Demography Workshop, New Orleans, LA, April 10, 2013 & Society of Labor Economics Annual Meeting, Boston, MA, May 3-4, 2013. Andrew Zuppann, “Children's Cognitive Abilities and Intrahousehold Parental Investment,” Population Association of America Annual Meeting, New Orleans, April 11-12, 2013. Elaine Liu, “Does ‘in Utero’ Exposure to Illness Matter? The 1918 Influenza Epidemic in Taiwan as a Natural Experiment,” Population Association of America Annual Meeting, New Orleans, April 11-12, 2013; also presented at Tokyo International Workshop on Development, Tokyo Japan Dec. 27, 2012. Elaine Liu, "Confucianism and Preferences: Evidence from Lab Experiments in Taiwan and China" NBER Conference on the Economics of Religion and Culture, Cambridge, MA, March 8-9, 2013. Gergely Ujhelyi, "Civil Service Rules and Policy Choices: Evidence from US State Governments," NBER Political Economy Meeting, Boston, April 12, 2013 ; and Public Choice Society Conference, New Orleans, March 7-10, 2013. Dietrich Vollrath, Doug Gollin and Remi Jedwab, "Urbanization with and without Structural Transformation", NBER Growth Conference, San Francisco, Feb. 7th, 2013. Jee-Yeon K. Lehmann, "Birth Order Differences in Early Inputs and Outcomes," American Economic Association Meetings, San Diego, January 2013. Chinhui Juhn, Gergely Ujhelyi and Carolina Villegas-Sanchez, "Men,Women and Machines: How Trade Impacts Gender Inequality", American Economic Association Meetings, San Diego, January 2013.